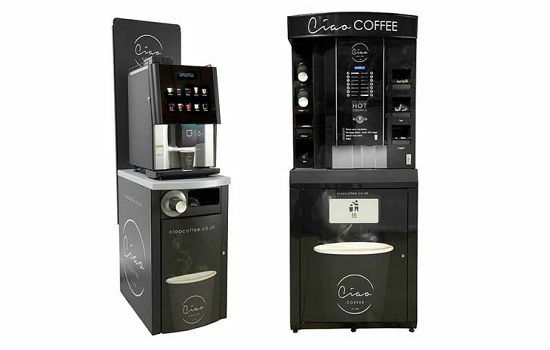 Our range of Ciao Coffee to Go stations are ideally suited to convenience stores, forecourts and leisure. Serving coffee on the go, using fresh coffee beans generates high profits of 86% P.O.R. Start making profits selling just 2 coffees each day. 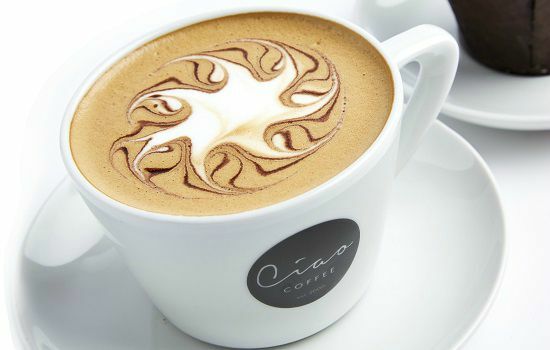 Selling just 19 Ciao Coffees daily will generate £10,000 profit each year. 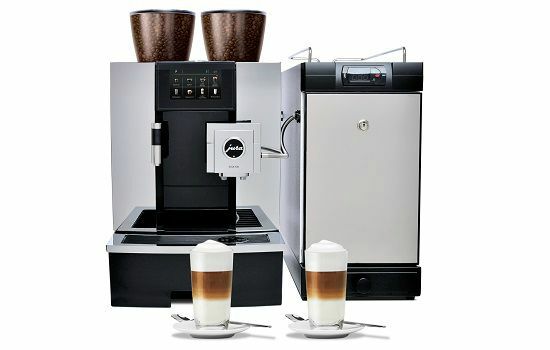 We offer a comprehensive range of bean to cup coffee machines for your business. For demands of 20 cups per day to 300 cups per day, we have the right solution for you. Our most popular brand is Jura Impressa; Swiss-engineered premium machine manufacturers. We are an authorised Jura dealer in the UK. Call us for expert commercial bean to cup machine advice. Ciao Coffee beans are sourced from some of the finest coffee plantations around the globe. Expertly crafted by master roasters with years of roasting and blending expertise to create exquisite aromas and taste. You'll always enjoy that perfect coffee experience with our award winning espresso blends. 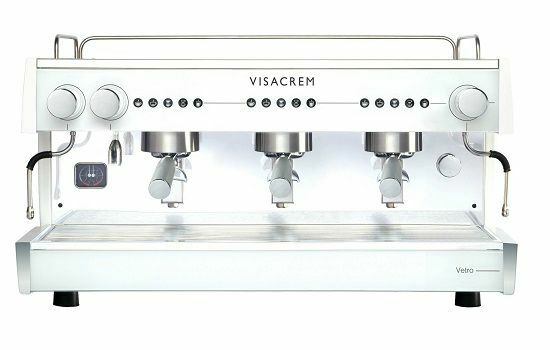 Espresso machines are our most popular solution from our commercial coffee machine range. With a range of equipment options available from 1 group to 3 groups, we will have the right solution for your business. Our full installation service includes on-site barista training and up to 5 years warranty on selected equipment so you can be confident your machine will prepare excellent espresso for years. 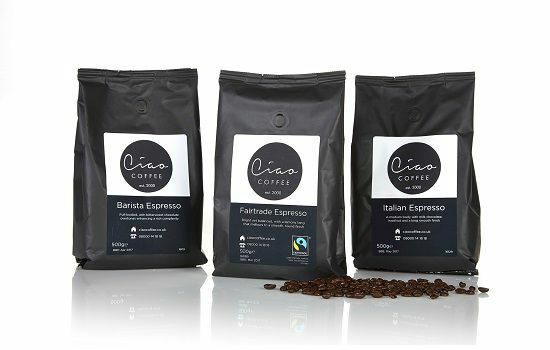 We offer a full range of branded Ciao coffee supplies which enjoy an established reputation for superior quality while offering excellent value for money. What's available? Coffee machine branding, espresso beans, filter coffee, bulk brew, takeaway coffee cups, crockery, sugar sticks, chocolate squares and Fair Trade blends. 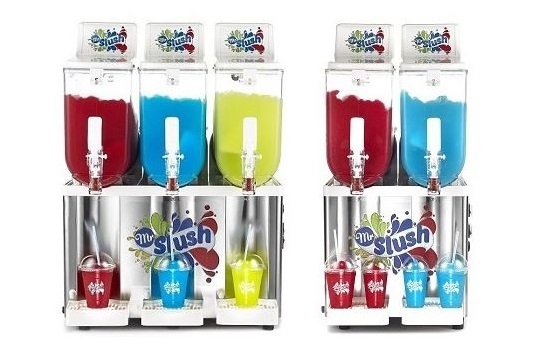 Superior quality commercial slush machines backed with on-site parts and labour warranty and lifetime support. Mr Slush is a leading UK slush brand, offering a wide range of premium slush syrups and branded accessories. Start earning 86% P.O.R. serving Mr Slush drinks. Need help or advice? Speak to one of our specialists. We aim to dispatch your order on the day of receipt if ordered before 2.30pm subject to, stock levels and bank holidays.